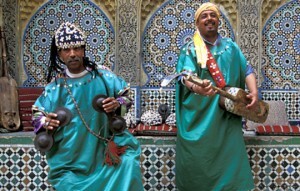 The Sufi Cultural Festival is an 8-day celebration that takes place each April within the imperial city of Fes to honor Sufi music and spirituality. 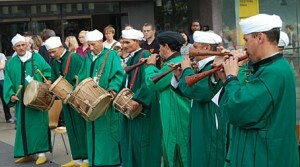 The Festival brings together religious leaders in Sufism and artists from around the world. Visitors come to enjoy ritual performances complemented by morning poetry readings, films and oriental art. The Sufi Festival which took place for its second time in 2008 featured a number of “samaa” evenings- nights filled with chanting and dance- as well as meetings and workshops; all centred around the theme “Sufism and human development”. The festival provides an opportunity for visitors to discover Morocco’s spiritual heritage and to display a side of Islam that is not often understood. Sufism is the mystical side of Islam that emphasizes love and peace, and whose message of universality transcends borders. Sufism creates a network for spirituality and co-operation in artistic, cultural and spiritual expression that provides balance and counters extremism. Scholars of various expertises have used the festival as an opportunity for debate and discussion, around such themes as “Sufism and human rights”, “Sufism and Moroccan history”, and “Sufism and cultural diversity”. Morocco has a long history with Sufism. 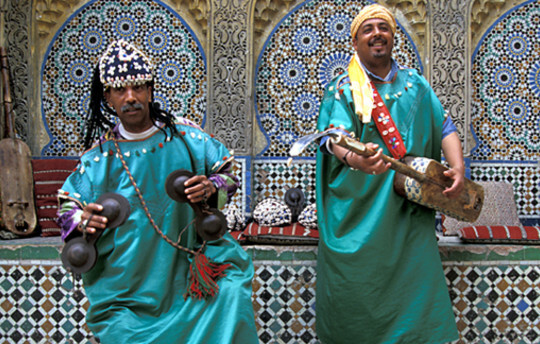 In Morocco alone, there are 1000 different Sufi cultures and brotherhoods. Brotherhoods established by Sufi teachers were known for their leniency and tolerance and have long been viewed as models of moral conduct to be emulated. Sufis founded institutions of learning run by local zaouias in towns and villages, many of which remain today and enjoy state support. 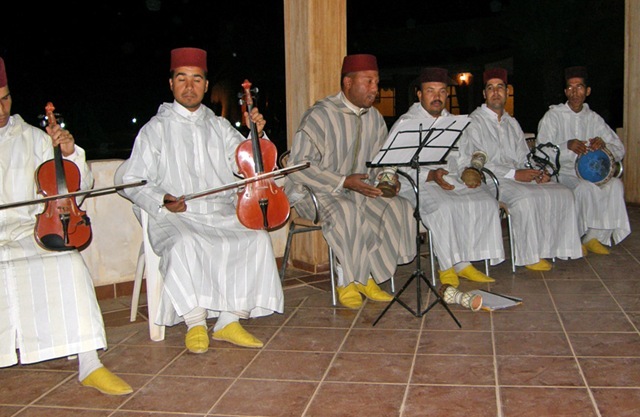 Morocco has always made a considerable effort to encourage Sufism. The country has produced such a remarkable number of Sufis such as Gnaou, the Aïssawa, the Hamadcha and the Master Musicians of Jajouka . Watch this video of Moroccan musician and lecturer Yassir Chadly as he explains how to build a gimbri and the fundamentals of playing Gnawa Sufi music.